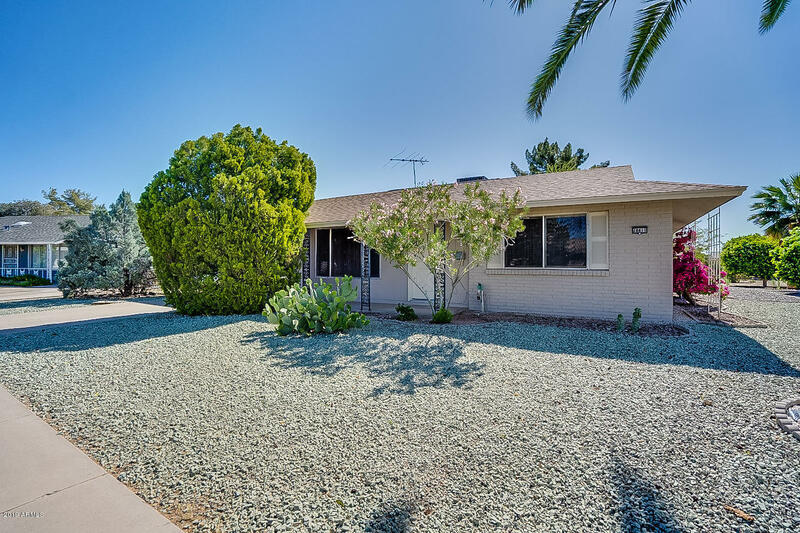 Come see this 2 bedroom/ 1 bath, single story home in Sun City, a 55+ community, that offers fresh paint. The kitchen has freshly painted cabinets, black appliances with an electric cooktop and looks into the living room. Both bedrooms offer ample amounts of natural light and spacious closets. Close to shopping, dining, and the highway. Come view this home today!